Google is expanding Google Maps Gallery, its portal for custom maps, as a destination where anyone can find, create or share personalized routes. Before, this site was focused on custom maps plotted by governments, nonprofits and businesses, but today Google wants to open it up to the wider public. So if you know the best burrito spots, or recently found a terrific hiking trail in the Scottish Highlands, you can map it out for other people. 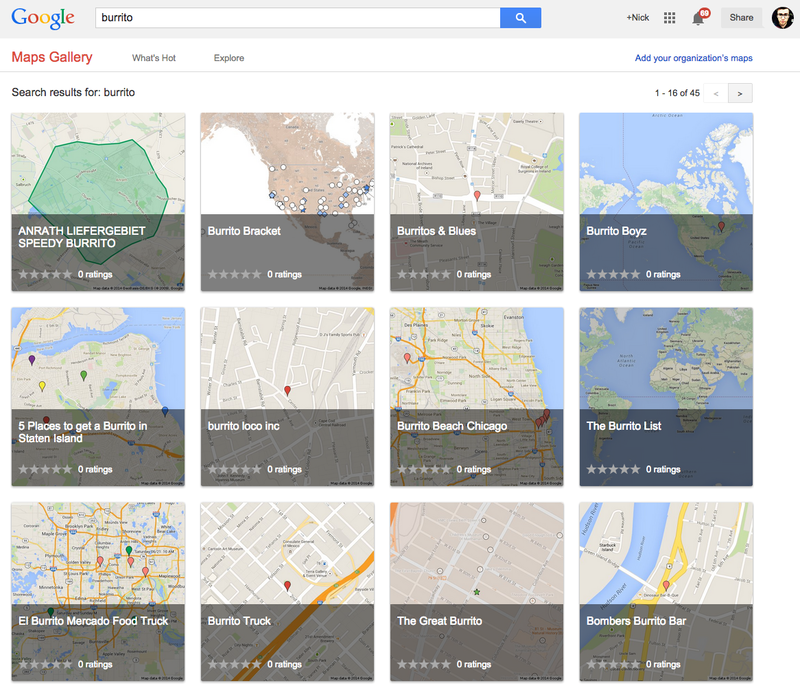 To find a public map created by someone else, it’s just a matter of heading to the Google Maps Gallery and searching for the location or theme. If you’re keen to construct a map of your own though, you’ll need to use My Maps, which was formerly called Google Maps Engine Lite. Here, you can create a trip of your own with images, descriptions, icons and place details. Google is also promoting an Android app so you can create maps on the move. “Did you plot out the perfect vacation? Share it publicly so others can get inspired, too—or if you prefer, keep your secret spots safe by setting your map to private or by sharing with a lucky few,” a spokesperson said. 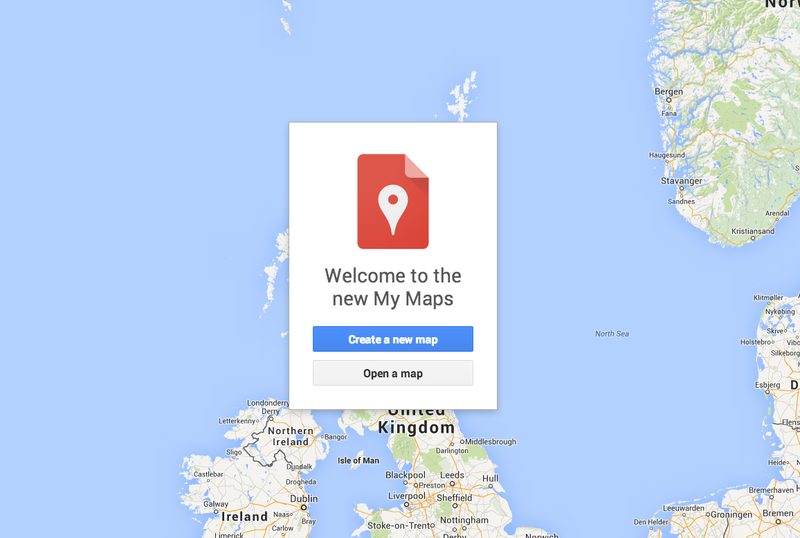 If you’ve created custom maps in the past, for instance with Google Maps Engine Lite, these will be upgraded to the new My Maps automatically later this year. If you want to get stuck in right away though, Google has an “upgrade now” button that’ll instantly bring everything over. The Google Maps Gallery is a little known feature, but the potential for creating a crowdsourced custom map database is huge. Many standalone apps pride themselves on offering routes for sport – such as cycling and hiking – city tours, or mapping out the best restaurants in town. If Google can make Maps the default destination for that type of information, its importance and value will only increase for both desktop and mobile users.